About 4 1/2 years ago I penned an article talking about how the Volkswagen (VW) Group was firing on all cylinders in India. After revealing to US authorities it had been intentionally circumventing emissions standards, all that progress is coming crashing down and it could take down the VW group with it. That’s not hyperbole, what the VW Group has committed is a serious breach of trust. So what happened? It all started with some scientists from West Virginia University who were testing random vehicles for emissions. They noticed the cars from the VW Group always seemed to spew more emissions in actual driving conditions then when stationary at an emissions testing facility. The numbers were not 5% or 10% off but an order of magnitude that was 15-35 times more then the VW Group said the cars would emit. It finally came to a head on September 15, 2015 and the US Environmental Protection Agency (EPA) got involved by issuing a notice of violation. Surprisingly, the VW Group admitted it was intentionally beating the emissions test by using software to detect if a car was being testing for emissions and then changing various parameters to the get emissions levels much lower. Although, VW admitted it was at fault it tried to shield itself saying it was “rogue coders” who did it not anyone from the management team. HAHA. The investigation is on-going and no one really knows what happened but I can tell you some “rogue coders” would not be able to pull this off by themselves. Either that or VW is one of the most dysfunctional companies on the planet. VW was on a mission to be the largest car maker in the world and I’m sure the mandate from the CEO was to go big at all costs or go home. The VW Group should be barred from selling cars in the US for 2-3 years to really make a point that you cannot intentionally circumvent the law for economic gain. This incident is different from GM where people died. That was a design flaw that was covered up for years and they didn’t intentionally set out to design a faulty ignition switch. 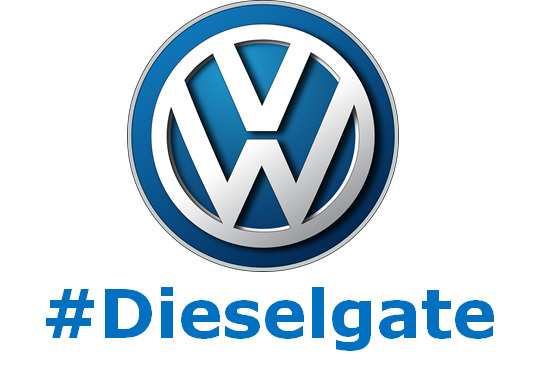 If VW gets a slap on the wrist I think it will empower more companies to roll the dice and see if they can getaway. For such a reputable company like VW to go down this path is pure sadness for any car person, they have some amazing name plates like Porsche, Lamborghini and Bugatti to name a few. As far as India is concerned, the cars will probably get the required fix to make the cars compliant for emission standards. But, then that means they probably won’t be as fuel efficient which will open up a whole host of lawsuits for fraud. As far as banning VW cars, I don’t see that as an option as the country really needs those jobs and the tax revenue it generates. Whatever the case may be, their reputation has been damaged and will take a long time to rebuild that trust with consumers.